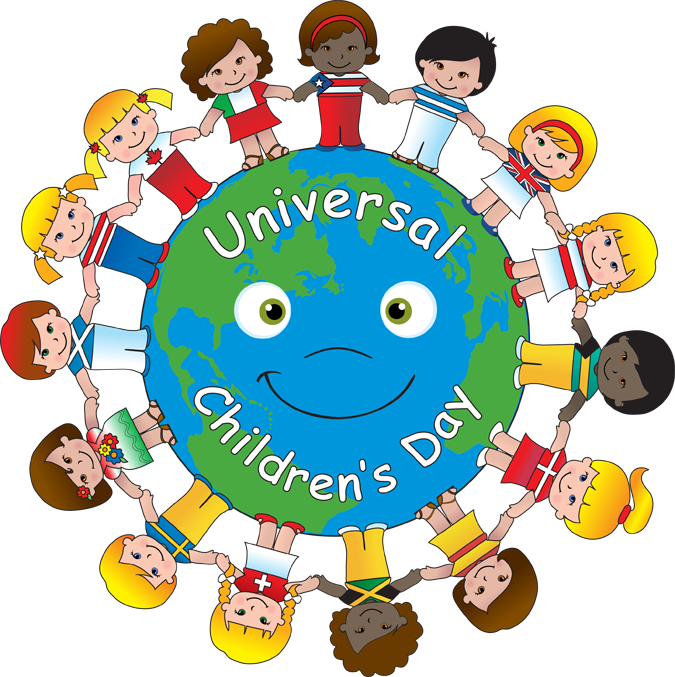 Happy Universal Children’s Day!!! What is Universal Children’s Day you ask? (It’s not terribly celebrated in Canada) Well it was first proclaimed by the World Conference for the well-being of Children on November 20th in 1925 and then established universally in 1954 to promote mutual exchange and understanding among children and secondly to initiate action to benefit and promote the welfare of the world’s children. I am late in the day getting this blog post out (I just underwent surgery to get rid of my pesky gall bladder yesterday) so am still slow on the uptake but I wanted to share in some FUN FIVE FREE Ways to Celebrate Universal Children’s Day…AND I’m going to add in an EXTRA bonus FIVE! Provide Opportunities to Experience Difference: Look for opportunities in your neighbourhood, school, places of worship, camps, concerts, and other community events for your children to interact with people who are racially or culturally different from them, or who have disabilities. When kids interact with those who are different from them at a young age, they are much more accepting of otherness as they grow older. Try the Kiwi Exercise: (Adapted from The The Freedom Writers Diary Teacher’s Guide by Erin Gruwell.) If you have a child that’s old enough to talk, grab the kiwi explore the outside of it: together make a list of as many adjectives as they can to describe it. You’ll probably notice words like “ugly,” “hairy,” “furry,” “icky,” and “weird” pop up..Next cut the kiwi in half and scoop out the centre with a spoon to taste it. Make a new list of words that describe the inside of the kiwi and how it tastes. This time around, words like “sweet,” “tasty,” “colorful,” and “delicious” might come out.Ask your child what notice about their two lists of adjectives. Your child might realize that if they only looked at the kiwi and didn’t try it, they would not have realized how good it tasted. This begins a discussion about how people sometimes make assumptions about each other because of how they look or the way they dress. Donations: Still a FREE activity, a good purge is a great thing to do before the Holiday-consumer-fest, and is a great opportunity to teach your children about those who are less fortunate. Collect all clothing that no longer fits them (or you), coats, jewelry, shoes, accessories, outerwear accessories, books you no longer read and of course TOYS. There is a variety of organizations you can donate to, some create multiple levels of opportunity by donating proceeds of sales to local charities AND send the remaining overstock overseas. It doesn’t take much research…one of my go-to places is Value Village. Shop The Neighbourhood: all across Canada on November 29, 2014 local businesses through your city will be promoting their businesses with special deals and events. Taking care of our children means creating a sustainable future. Big box stores like Walmart have a goal to put mom and pop businesses out of business. This not only limits your children’s abilities to be future entrepreneurs but they will be in a position in the future to monopolize the market and jack up the prices because the competition will be nil. Children’s Literacy Event: If you are located in Ottawa during the Shop The Neighbourhood Event, A Story So Funky will be putting on a fun, exciting and inventive event to promote children’s literacy! We will be having the PREMIERE reading of the story at Fab Baby Gear in Westboro and the Glebe where we will have a HUGE draw for the Kickstarter Big Gift Monkey Package. Not only will we be supporting local businesses, and children’s literacy, but once A Story So Funky is successful on Kickstarter, we will be supporting children’s health through giving proceeds to the Children’s Hospital of Eastern Ontario. That’s really supporting our children’s future in three ways at once- AND having a blast while doing it! *If you’re not fortunate enough to live in Ottawa, you can purchase the book from Kickstarter starting December 1st, and until then check out books on accepting people for themselves and pro-diversity from your local library.